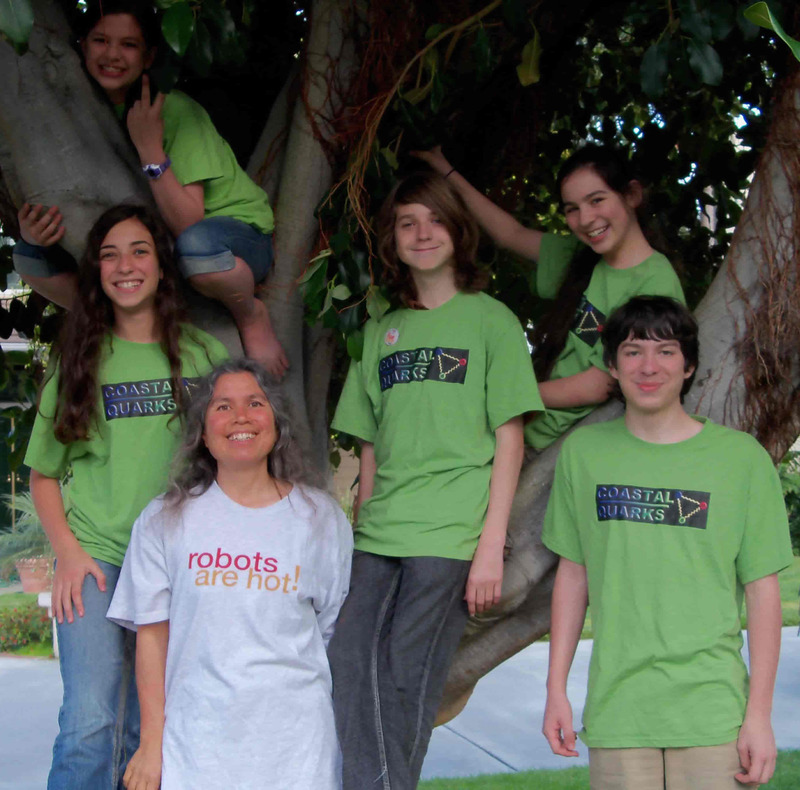 We, the Coastal Quarks, are a team of 13 – 16 year old kids who get together and build and program robots for FTC (First Tech Challenge). Our team is made up of seven people; Nadya, age 13; Kirk, age 15; Brennan, age 16; Noa, age 14; Neta, age 13; Daniela, age 13; and Ciara age 14. Noa, Neta, Daniela and Kirk go to regular schools, but Ciara, Nadya and Brennan home school. Although our main focus is FTC, over the summer we participated in Moonbots, a Google and LEGO funded robotics competition. It was completely web based challenge, with even the competition itself held over webcam! We were fortunate enough to get into the finals but did not win. We did however, get a recognition award for Best Robot Explanation! We are currently working on the FTC Get Over It challenge and will be in competition later this month!